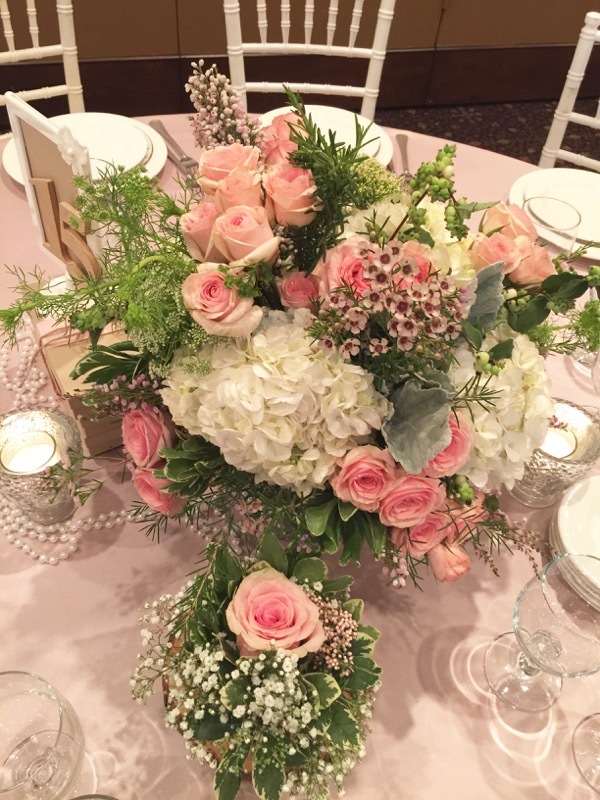 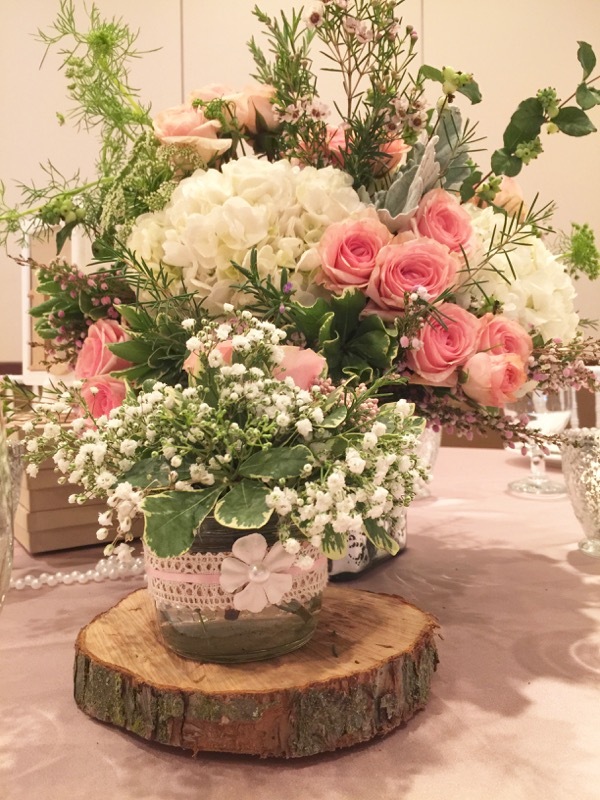 A Very Floral Fête is very fitting for this floral infused Baptism celebration for adorable baby Aria in Michigan, with shabby chic details, lots of pretty pink mini garden roses and different green textures! 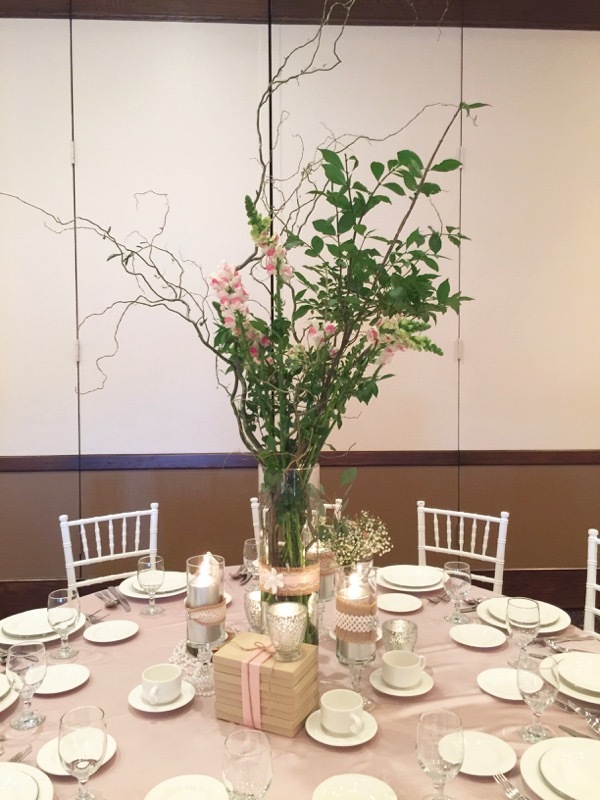 We first ventured off to Michigan to do an event with fresh floral two years ago to put together Zoi’s Picture Pomegranate Perfect Baptism Celebration, and this time we decided to not only bring some fresh floral but to also bring some wonderful large fresh branches to give the room some height! 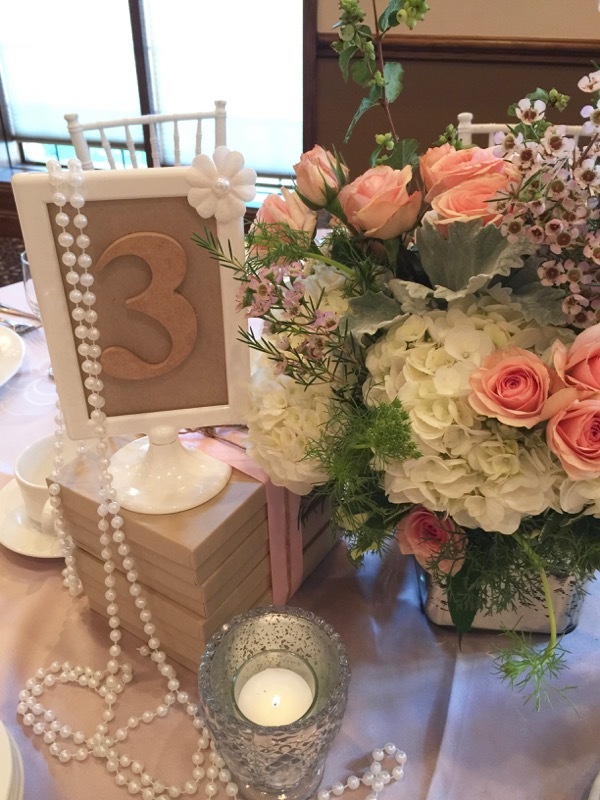 By now, you figured out how much we LOVE, LOVE, LOVE details so we kicked off the custom boxed invitations with a burlap wrapping and a delicate white paper flower with a pearl center. 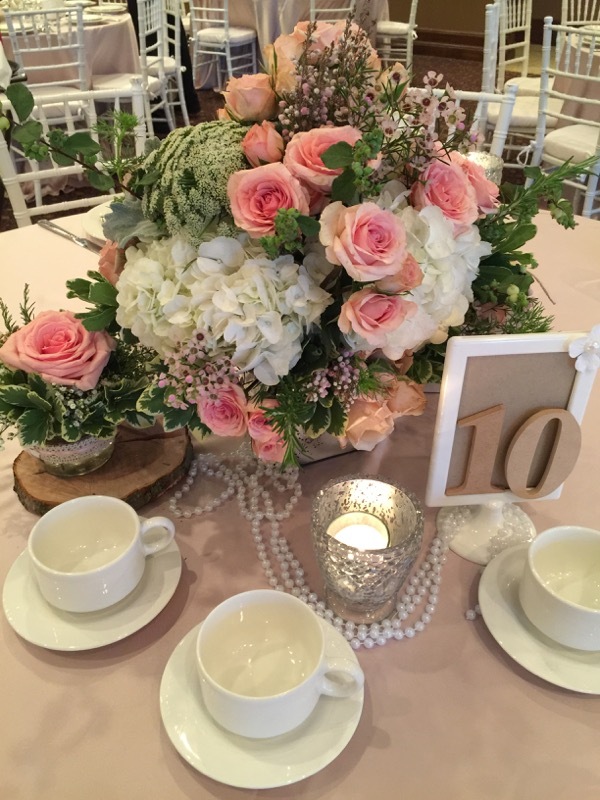 The little floral detail was carried over to the place cards, table numbers and glassware vessels. 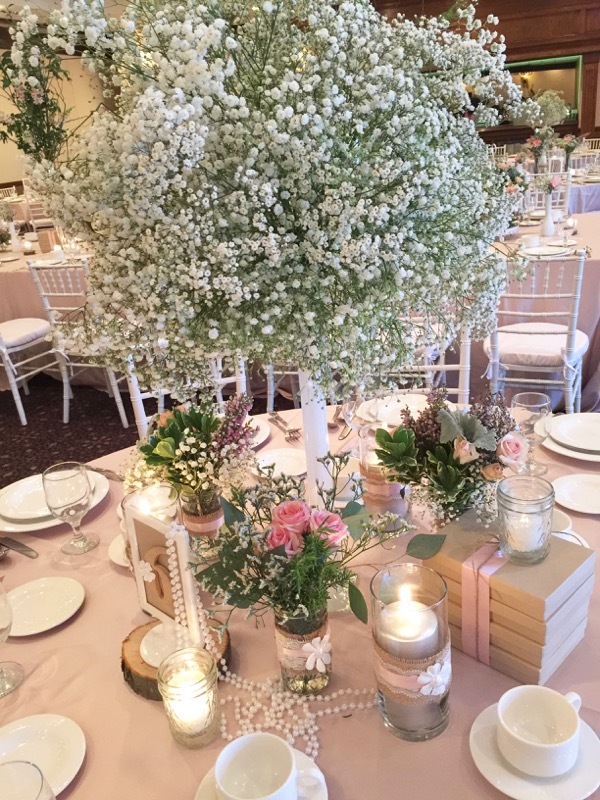 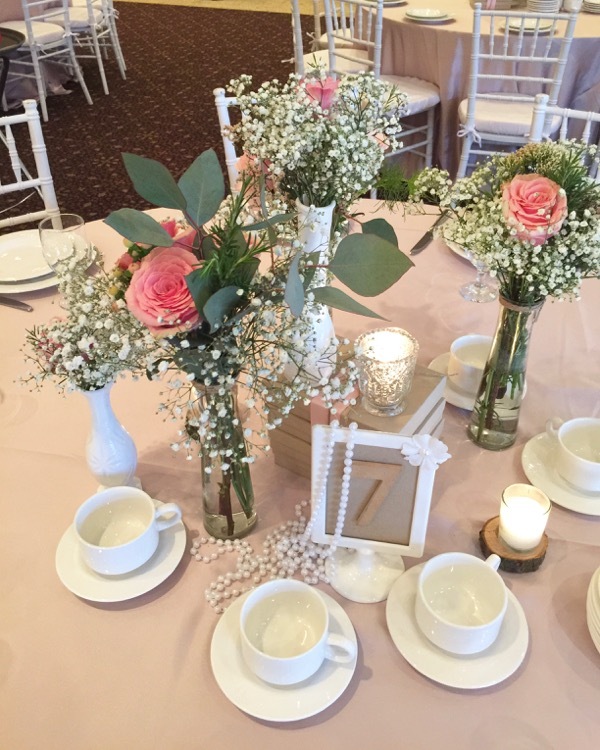 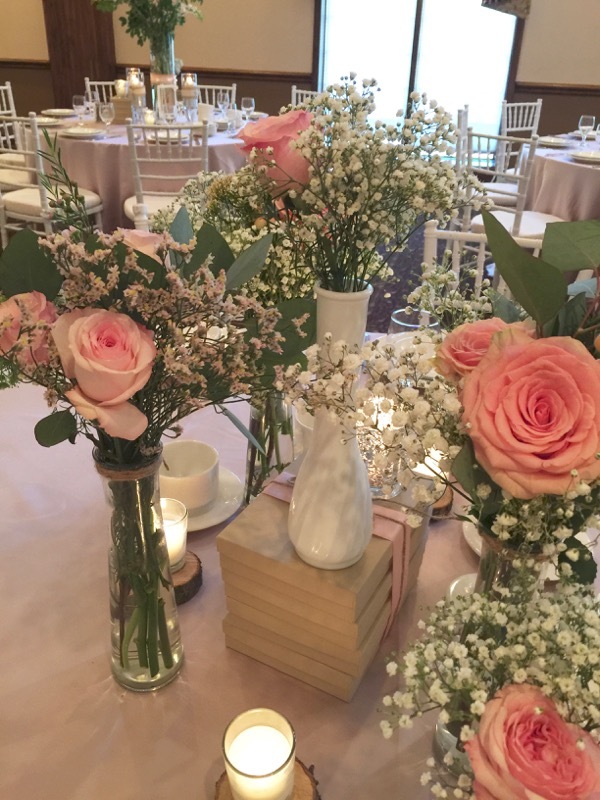 The pearl necklaces were added for a touch of girly shabby chic feel and of course all the different milk glass vases and mercury holders added to the whole overall eclectic feel. 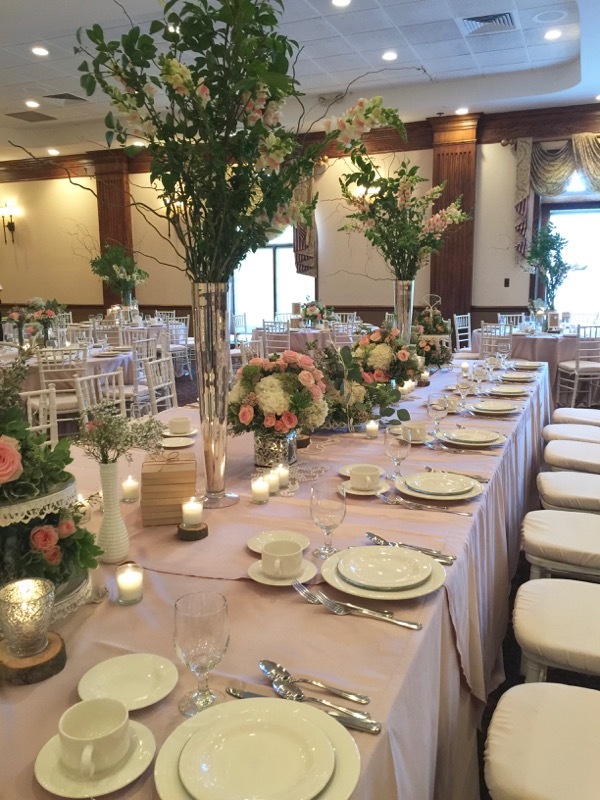 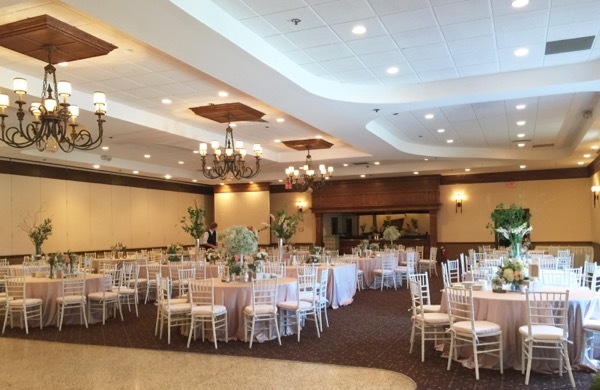 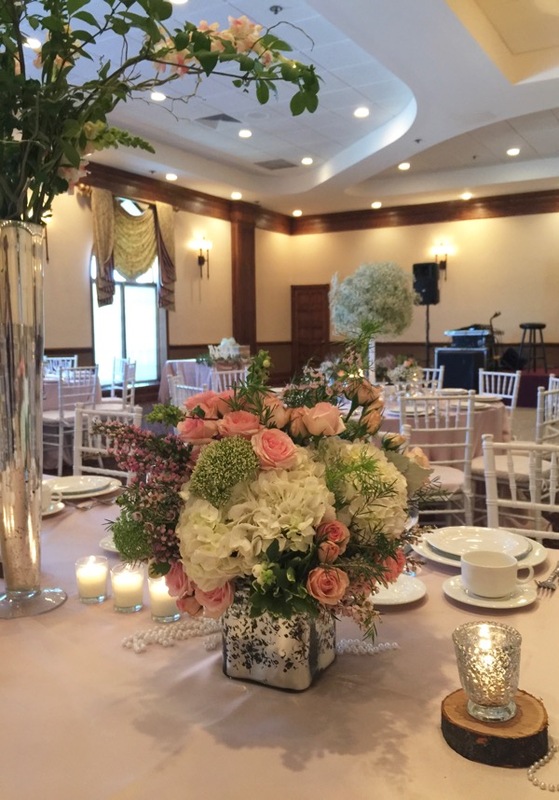 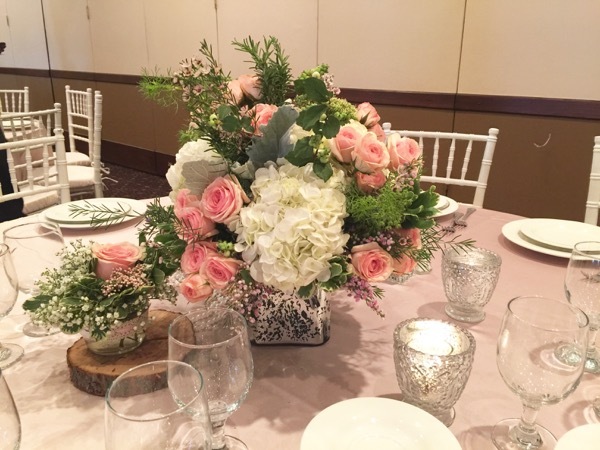 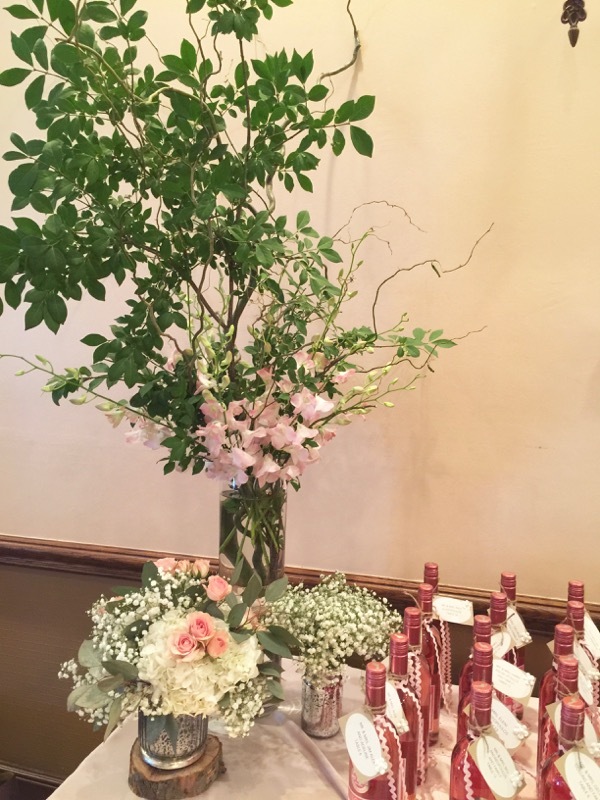 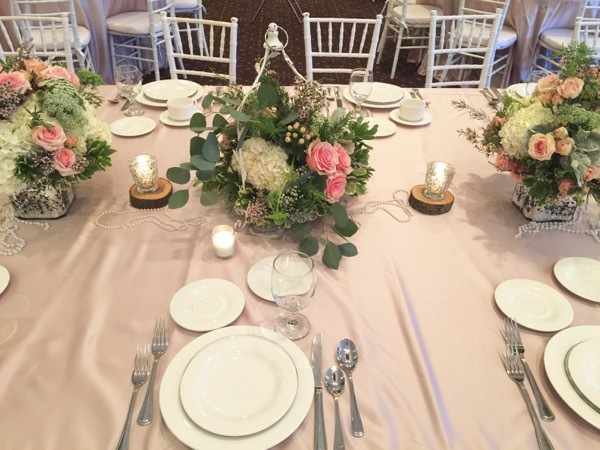 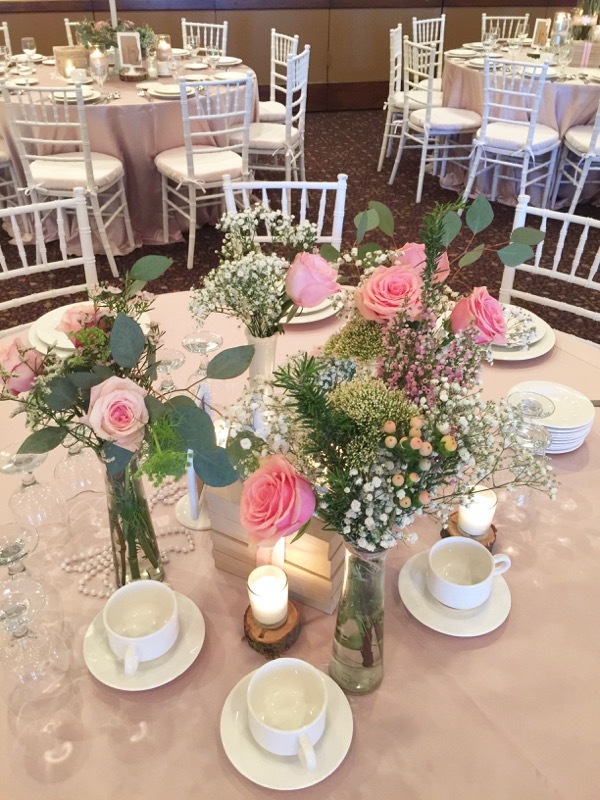 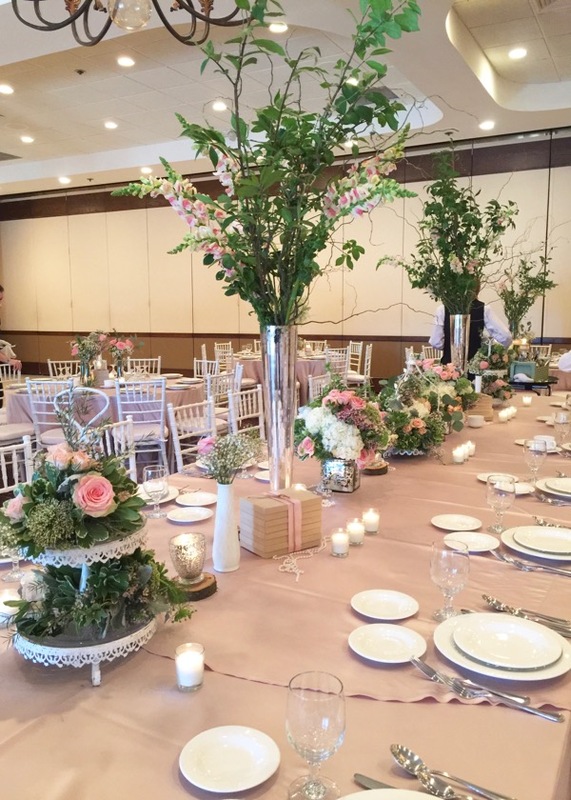 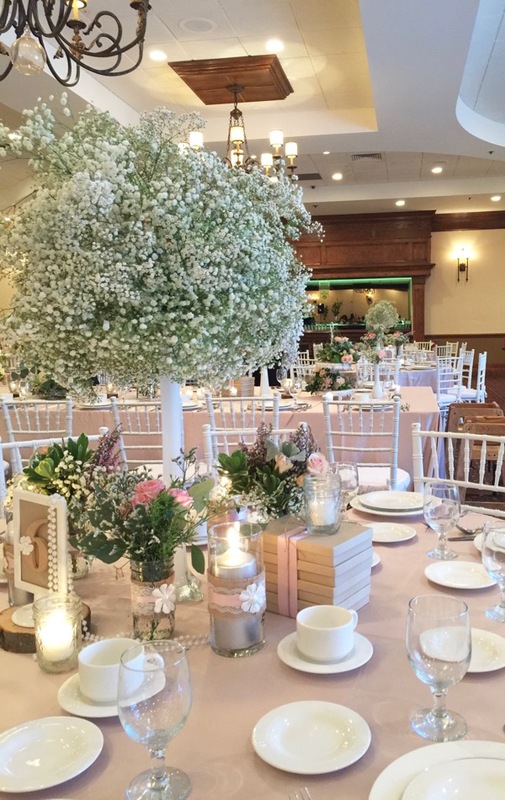 The pretty pink linens and the white chiavari chairs transformed the room to a wonderful garden setting. 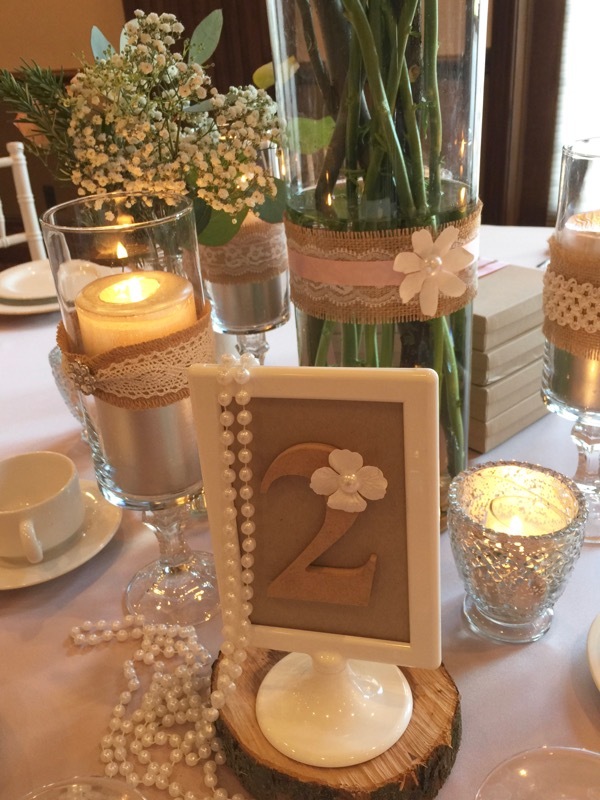 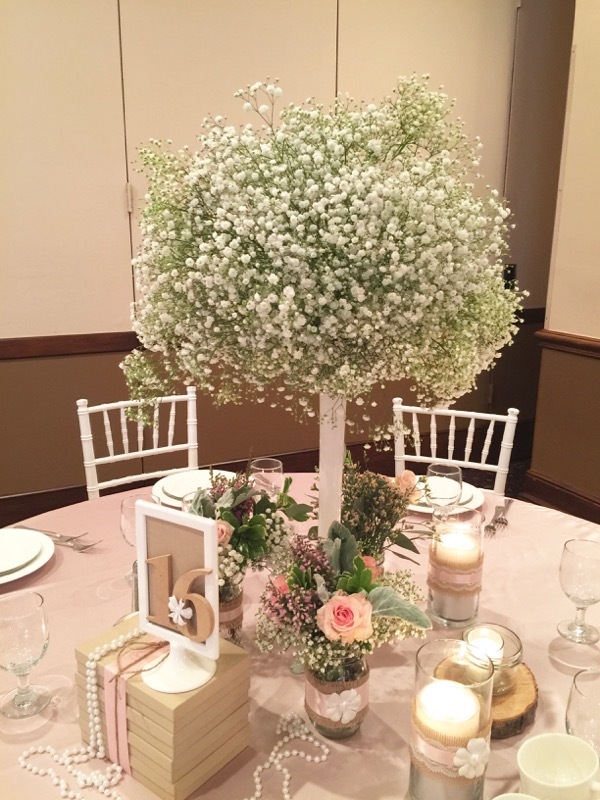 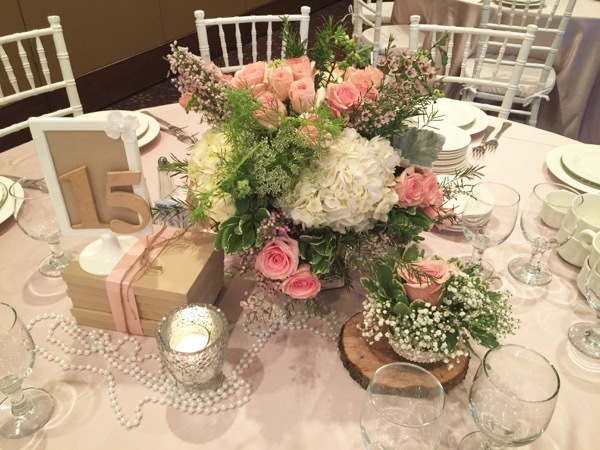 Since we used boxed invitations, we ended up using more boxes to create risers on the tables and the little wooden numbers were just the perfect touch. 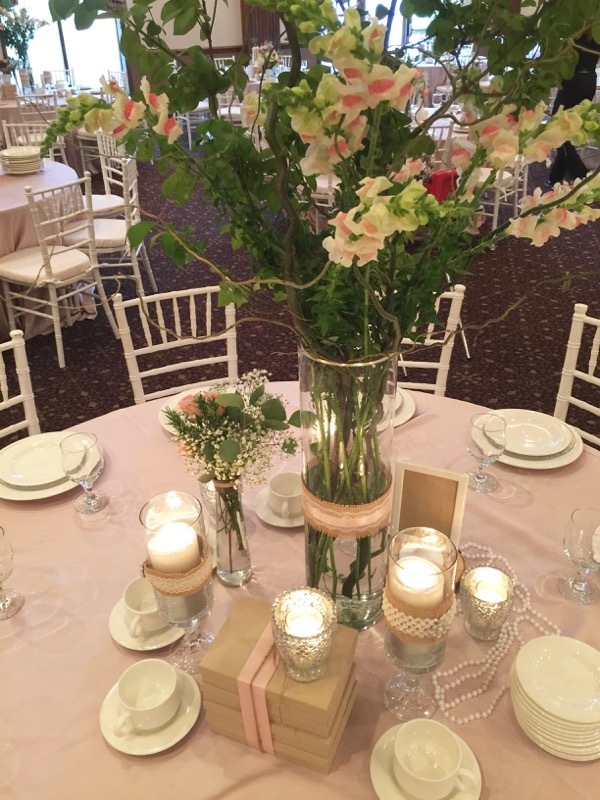 The floral coordinated with the room perfectly and all the candles created a soft glow as the evening progressed. 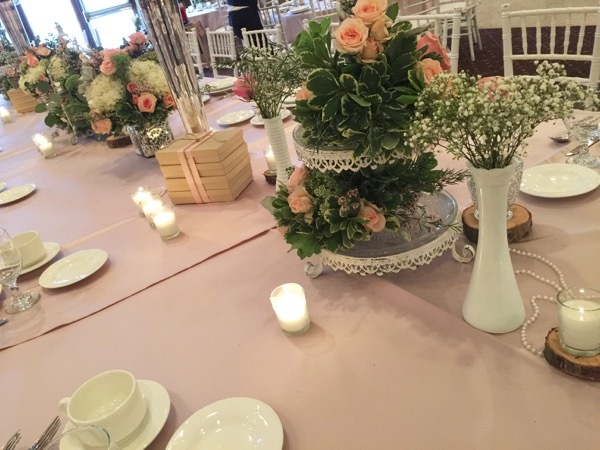 The long head table was of course center of attention with two large tall floral and branch pieces in silver mercury vases with a continuation of floral arrangements in different shabby chic pieces, including two tiered vintage like cake stands. 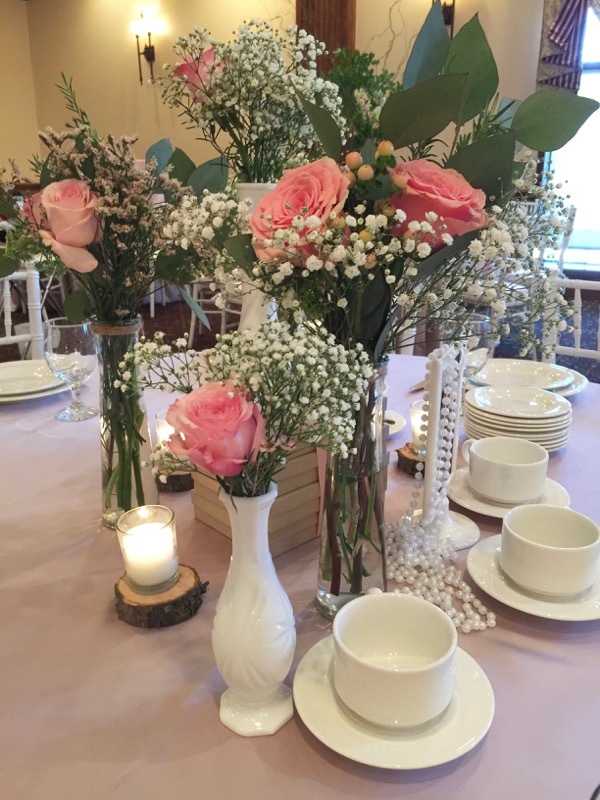 The fresh wooden pieces were found throughout the room that even the smallest votives had a piece to go with it! 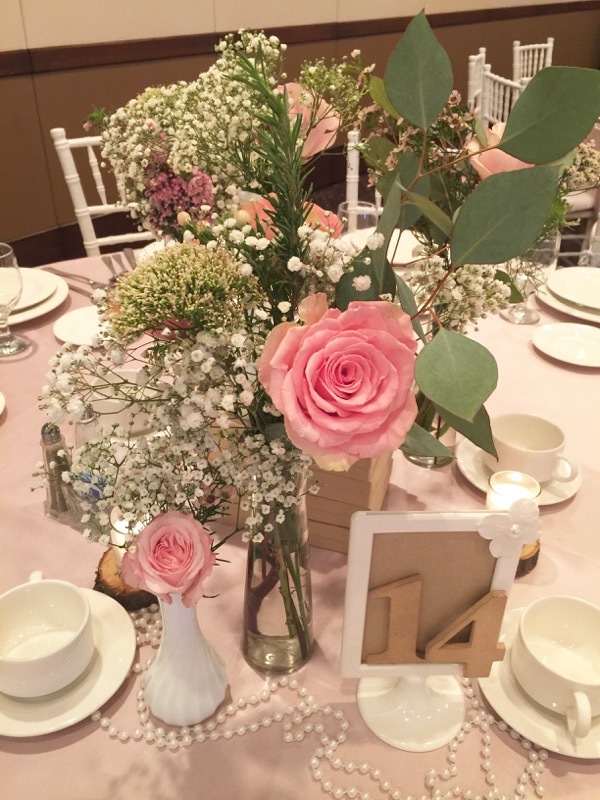 We’ve had the pleasure of working with our good friends, Maria and Adoni, for all three of their children’s Baptisms and we have to say they not only make adorable babies but they are the sweetest, most kind little ones anyone can ask for! 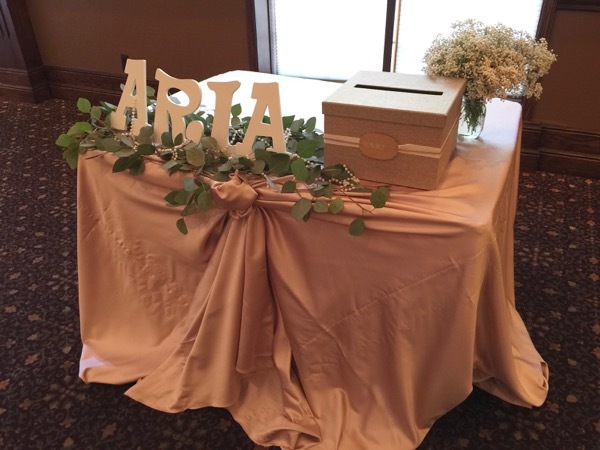 With big sister Tiffany and big brother Sam, we know Aria is one lucky girl to have such wonderful siblings. 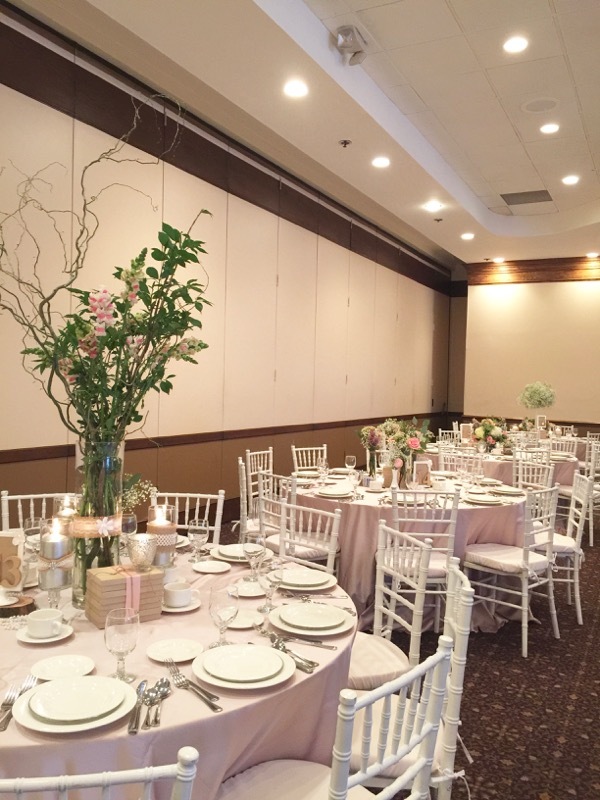 Maria and Adoni, thank you for trusting us with our moving caravan of props, ideas and work. 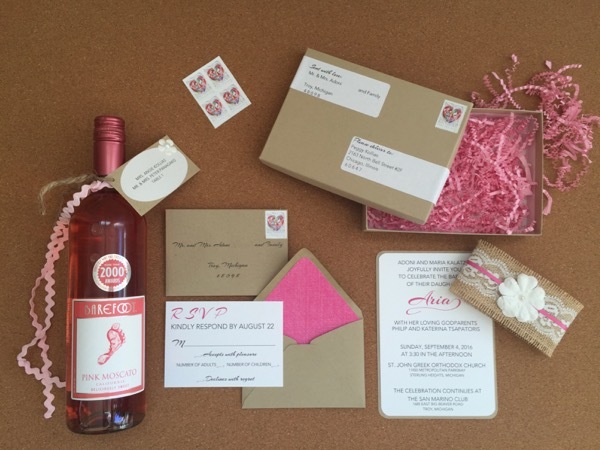 Our friendship means the world to us and your support is greatly appreciated! 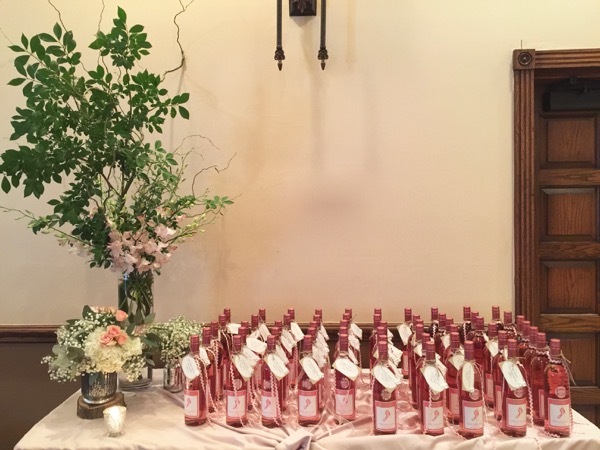 We wish everyone a very happy weekend and check back next week for more pretty parties!